By CNN'S EVAN SIMKO-BEDNARSKI AND TONY MARCO CONTRIBUTED TO THIS REPORT. More than 600 cities, counties and Native American tribes from 28 states have filed a federal lawsuit against eight members of the Sackler family -- owners of the pharmaceutical giant Purdue Pharma LP -- accusing them of creating the opioid addiction crisis through ownership of the company that manufactures the painkiller OxyContin. Like other suits that have been filed, this one alleges the Sackler family made a fortune by using deceptive marketing to sell addictive and potentially deadly painkillers. "Eight people in a single family made the choices that caused much of the opioid epidemic," the suit says, then naming the eight defendants. "Because they controlled their own privately held drug company, the Sackler Defendants had the power to decide how addictive narcotics were sold. They got more patients on opioids, at higher doses, for longer, than ever before. They paid themselves billions of dollars. They are responsible for addiction, overdose, and death that damaged millions of lives. They should be held accountable now." The lawsuit does not specify the amount of monetary damages sought. The suits seeks a number of actions, including having the Sacklers issue "corrective advertising statements" in national and regional publications, medical journals, television shows and websites. The plaintiffs say they deserve compensation because the opioid crisis increased costs for law enforcement, child care for children of people addicted to opioids and physical and mental health treatment. The plaintiffs also say property values decreased in some areas because of the drug epidemic. "These baseless allegations place blame where it does not belong for a complex public health crisis, and we deny them. The company our fathers and grandfathers founded manufactures an FDA-approved medicine that has always represented a tiny portion of the opioid market -- never more than four percent of nationwide opioid prescriptions and currently less than two percent -- while providing life-changing relief for the millions of pain patients who need it. "While we have always acted properly, we remain committed to making a meaningful contribution to solutions that save lives by preventing diversion and abuse of prescription medicines and treating those who are suffering from addiction." Purdue Pharma also denied wrongdoing. "This complaint is part of a continuing effort by contingency fee counsel to single out Purdue, blame it for the entire opioid crisis in the United States, and try the case in the court of public opinion rather than the justice system," according to a statement from Purdue spokesman Bob Josephson. The statement says the lawsuit is inaccurate and misleading. For example, the company says, the suit doesn't mention that Purdue's opioid pain medicines represent less than 2% of total opioid prescriptions. The suit also doesn't give Purdue Pharma credit for its work in trying to reduce opioid addiction, the statement said. "Purdue Pharma and the individual former directors vigorously denies the allegations in the complaint and will continue to defend themselves against these misleading allegations. In the meantime, Purdue continues to fight for balance in the public discourse so that society can simultaneously help pain patients in need and create real solutions to the complex problem of addiction." The suit was filed March 18 in the Southern District of New York. Named as defendants are Richard S. Sackler, Jonathan D. Sackler, Mortimer D.A. Sackler, Kathe A. Sackler, Ilene Sackler Lefcourt, Beverly Sackler, Theresa Sackler, David A. Sackler, a trust for members of the Raymond Sackler family and Rhodes Pharmaceuticals. 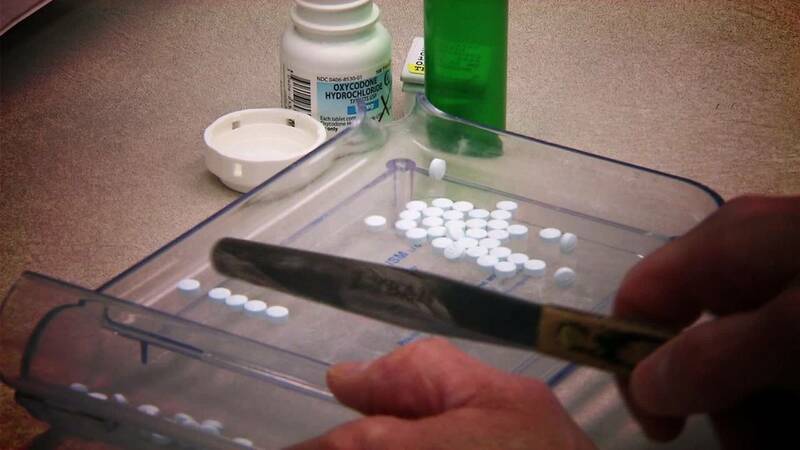 Rhodes is a family-owned company that makes generic opioids. The trust owns half of Purdue and the Purdue-related entities, the suit says. The plaintiffs include areas hard-hit by the opioid crisis, ranging from heavily populated places lsuch as Cleveland to small towns such as Opp, Alabama. There are 112 Massachusetts towns and counties among the plaintiffs and 51 in Kentucky. Eight native American tribes are also among the plaintiffs. The suit says the number of US drug overdose deaths has grown from 47,000 in 2014 to an estimated 72,000 in 2017, with three out of five deaths involving opioids. The suit says the family increased sales by creating a "new 'health care' narrative -- one in which opioids are considered safe and effective for long-term use, and pain is aggressively treated at all costs." The suit says the family and its companies "intentionally misled doctors and patients" about the safe use of prescription opioids through sales representatives and through "financial relationships with academic physicians, professional societies, hospitals, trade associations for state medical boards and seemingly neutral third-party foundations." The suit also asks the defendants to pay for the plaintiffs' attorney fees.